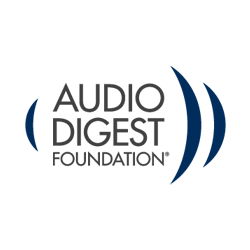 The Audio Digest Family Medicine Board review is a board prep course designed to aid all healthcare professionals, in the field of family medicine, prepare for certification or recertification of exams, while also serving as a comprehensive review resource. This systematic overview of key diagnostic and clinical concepts is designed to keep you up to date with all important aspects of the family medicine practice and enhance your lifelong learning experience though the use of the Audio Digest advanced learning platform. Course content is selected based on ABFM requirements and contains 59 hours of original lectures led by faculty from a variety of prominent teaching institutions, from across the country to bring you a broad educational and geographically diverse clinical experience and expertise. Format: 59 Audio Files (.mp3 format).